Hanging space and why boat designers hate live aboards/cruisers. Boat Projects: How much anchor chain do we have, anyway...? When you anchor out, it's pretty important to know just how much anchor chain/rope you have attached to the end of your anchor. What to do with a Dozen Broken Eggs? 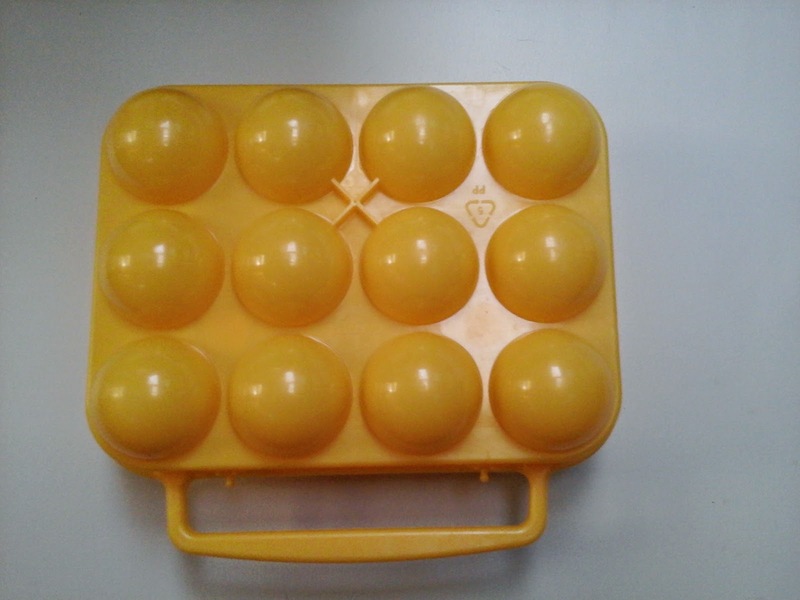 About a week ago, I dropped this handy little egg storage device and to my surprise, broke evey last egg in the "protective" case.